DeBows has a long history in the area of education and the study of God’s Word. As early as 1867, DeBows was known as a Methodist Episcopal Sabbath School. Christian education for children, adult bible study, and worship were held in the DeBows School House near the present location of the church. Today, the study of God’s Word continues to be an essential part our church. 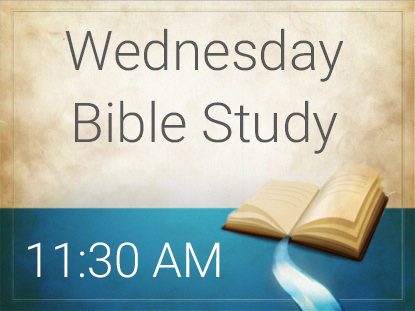 The Wednesday Bible Study meets from 11:30 AM until 1:00 PM in Fellowship Hall. There is an optional prayer time in the sanctuary at 11:15 AM, prior to the bible study. Everyone is welcome to attend and may join the study at anytime.